Most people pin images and infographics, so if you pin video on Pinterest you have the chance to stand out from the crowd. Your video pin will look different. You can pin videos or animated gifs. When you press the play button in the lower left corner you’ll notice a difference: if you’ve pinned an animated gif, you will see it play on your news feed. 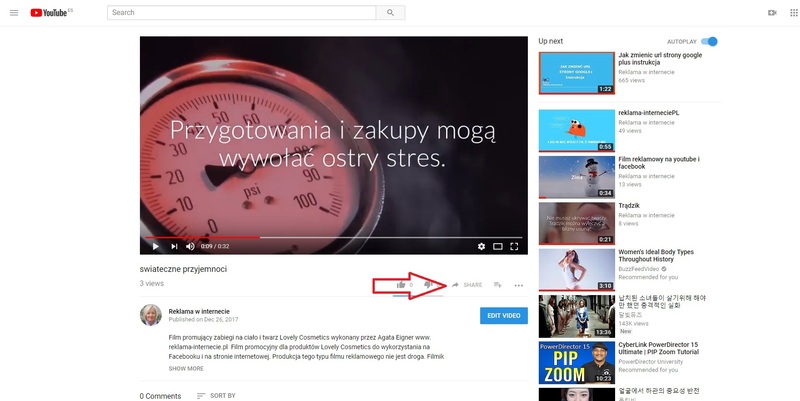 If you pin a video from Youtube (or from any website) you have to open the pin to watch video. To pin a video from any website you can use the pin it browser button. 1. You can use the pin it browser button.the same way on any website. Before the pin gets executed, you are able to select a thumbnail. Then you will have to select the board you want to pin to (from your pin boards, of course). Your pin links to to the video itself, the channel the video was published to, and YouTube’s homepage. 2. You can use the share button on the chosen video on Youtube. Select “Pinterest”. You can also set a specific video start time. You can do this in a similar way as pinning from Youtube. Just open Vimeo film site, click on the share button, choose “Pinterest”. Choose the pin board where you want to add your video pin. Later you can open this pin and edit the text and the link where it should direct the traffic. If you do not want to direct traffic from your video pin to your Youtube channel, click on the pencil icon of your pin and edit the URL to the url of your website or any other place where you wish to direct traffic. This way users who click or tap your pin are taken to your website. Make sure that you embed that video on your website to avoid disappointment.